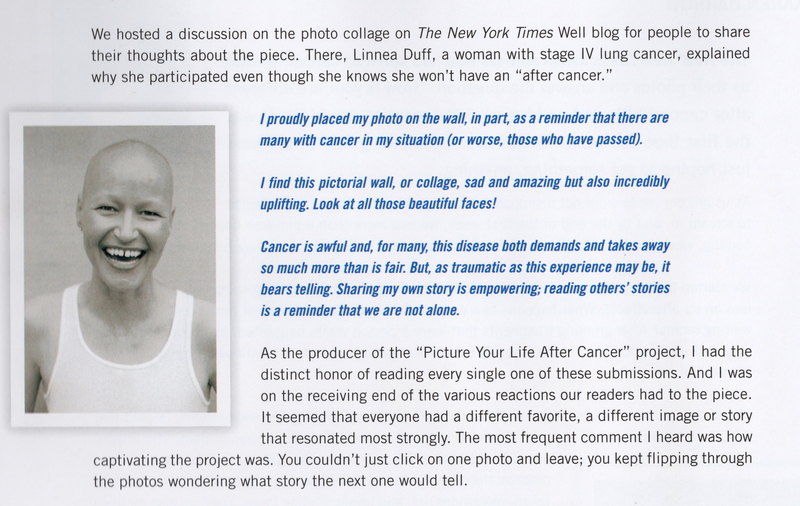 In early spring of 2010, the NY Times asked their online readers a question: “How is life different after cancer?” Those who had been touched by this disease were encouraged to send in a response along with a photo, which became part of an (ongoing) interactive collage. I was an early responder in what turned into an enormously popular feature. Some weeks later, the NY Times promoted this project on the front page of the Health Section and my photo and comments were included. 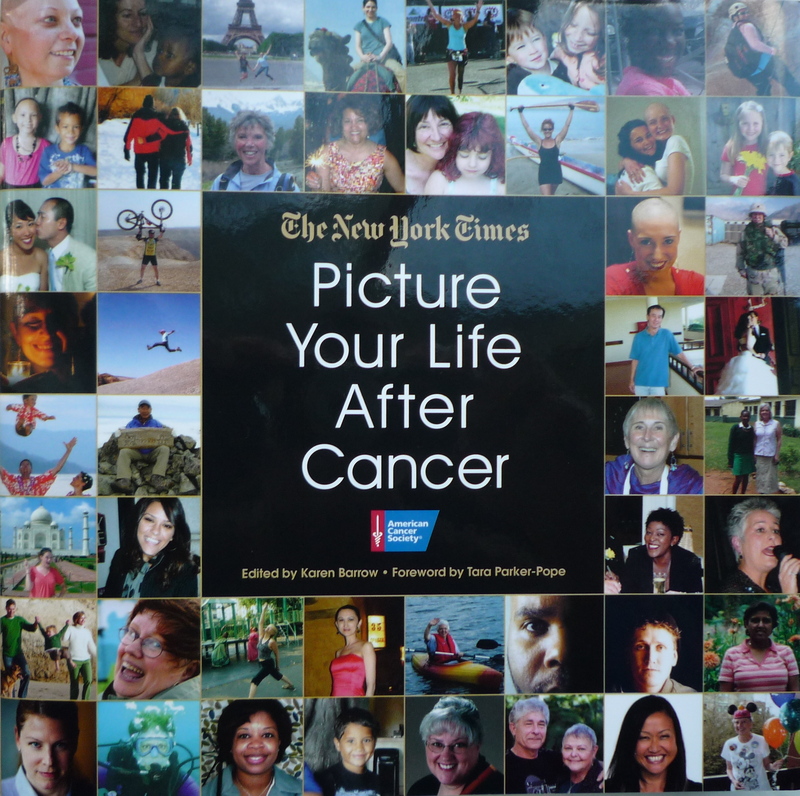 The New York Times and The American Cancer Society have just published a book, Picture Your Life After Cancer. It shares both the photos and comments from a broad sample of nearly 1500 people who have now participated. I am proud to be among them. 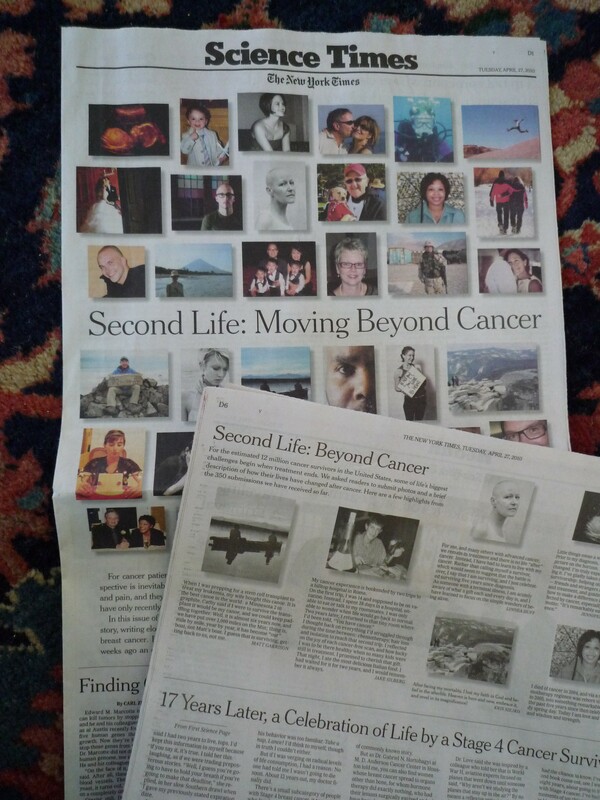 This entry was posted in Advocacy and tagged Dr. Alice Shaw, Dr. Tom Lynch, Picture Your Life After Cancer, Quantia MD, Second Life: Moving Beyond Cancer. Bookmark the permalink. I so enjoyed your story and am happy to finally put a voice with a face! I am also very lucky to have a wonderful, assessable oncologist. 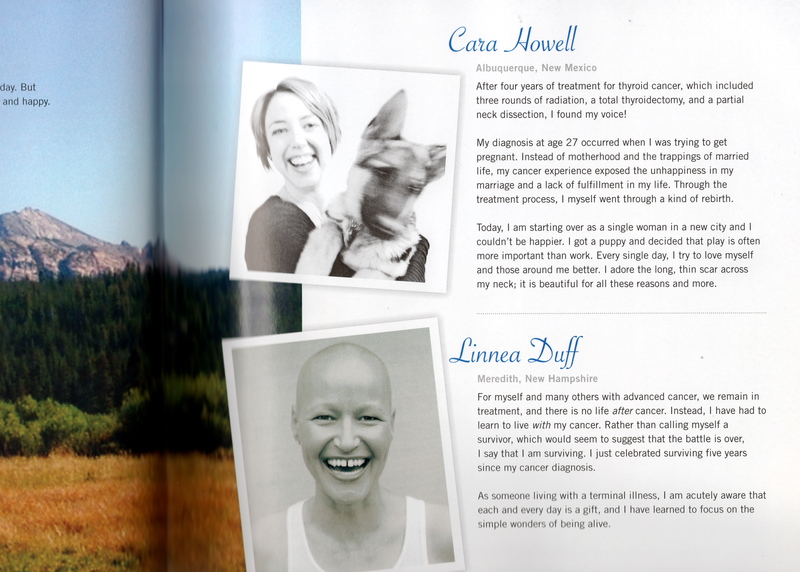 Best of luck with your new treatment plans! Thank you Sandye and I am happy that you have been fortunate in the oncologist department as well–it makes a world of difference to have someone you trust at the helm. You are definitely our beautiful poster women for lung cancer and your oral presentation was eloquent. Thank you. Thanks Catherine. Great gaps think alike (no explanation, just came to me). Now I just have to figure out an emoticon with the appropriate smile! Linnea, you are the ‘queen of all media’! Thank you for the time you make to advocate. Thank you Patrick–I appreciate the fact that you are a constant voice out there as well. Oh, I remember that NYTimes page!!! And so happy that you are part of it all. Thanks for sharing it!! !